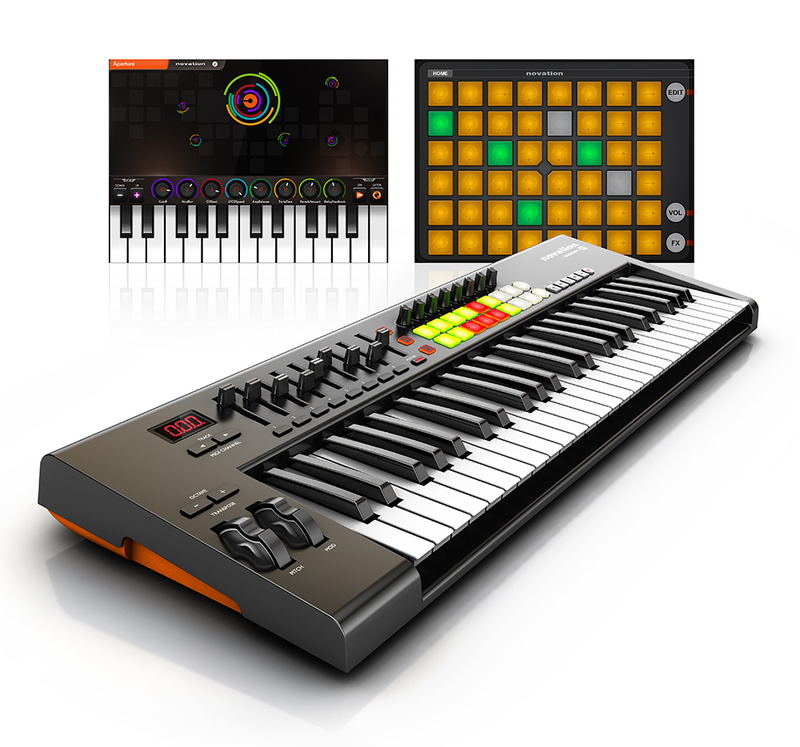 Novation have announced their new range of controller keyboards today called the Launchkey 25, 49 & 61 editions. Normally we wouldn’t have all that much to say about another entry into the already crowded midi keyboard controller market but this time around we appear to have some interesting added functionality that should raise these controllers above the rest of the products out there. So what is it that has our interest here? Well apart from the rather impressive amount of hands on controls for the price point which total 34 knobs, sliders and pads on the 25 key edition and over 50 on the larger models! Plenty of hands on tweakability going on here which is something we approve of greatly! But that ain’t all. Along with the keyboard for anyone owning an iPad comes a pair of interesting apps called Launchkey and Launchpad. The first of these Launchkey is a synth app capable of running on the iPad 2 or later and uses one of the extremely well regarded Novation synth engines to enable this modest midi controller to make some huge noise. Along with that is Launchpad which appears to let you configure the built in controller pads into a launchpad style set up using the pad to trigger loops & samples as well as apply effects and general mash things up… very, very impressive for what is essentially a budget controller range and should be great for getting your creative juices running. We’re informed that the Launchkey 49 should be available in March with the Launchkey 25 & 61 editions folllowing on in April. The Launchkey homepage @ Novation. First Look At The Intel 8700K As The i7 Range Gets A Caffeine Injection.